***This physician practices at the Sacred Heart Urgent Care Center and does not normally see patients by appointment. *** Dr. Behrens earned her medical degree from Medical College of Ohio at Toledo. She completed her internship and residency training in family medicine at Flower Memorial Hospital in ... Read More Sylvania, Ohio. Dr. Behrens has provided primary care services in a private practice setting since 1989. She has special interest in urgent care medicine and providing pediatric and adult medical care. In her free time, Dr. Behrens enjoys biking, gardening and her pets. She also enjoys spending time with her three children, Ashley, Michael and Jacob. 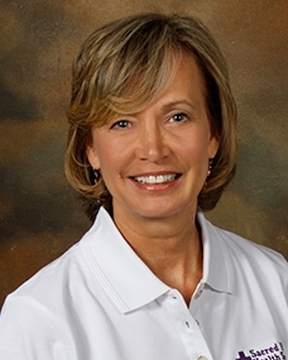 Cindy Behrens, MD offers services at multiple FL locations.